The clarity of these stones from scanning is disheartening, at best. 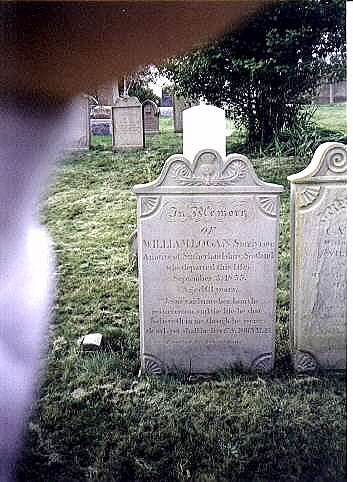 Below follows inscriptions that have been read from the original pictures taken in September, 1998. 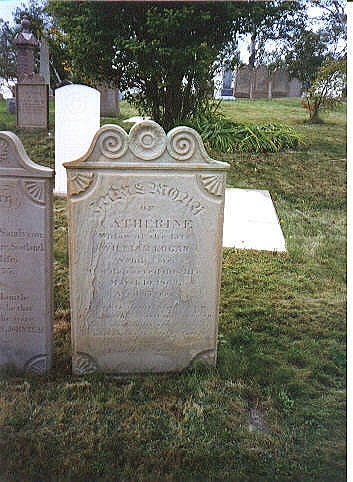 SVCL.JPG	Loving Memory of Catherine, Widow of the Late William Logan of Sandy Cove, Who Departed This Life, March 10, 1860, aged 65 Years. Rest of Inscription is too Blurry from wear to read. 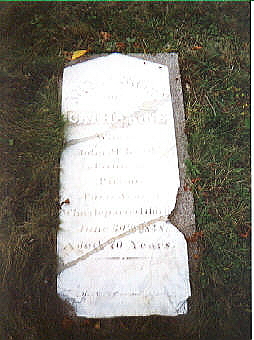 SVCMCLD.JPG BROKEN STONE -- REPAIRED Illegible top portion -- Catharine, wife of John McLeod, Native of Pictou, Nova Scotia, who departed this life June 30th, year unreadable. Aged 70 yearsStone is flat on ground, with granite slab bavking in repair atempt. 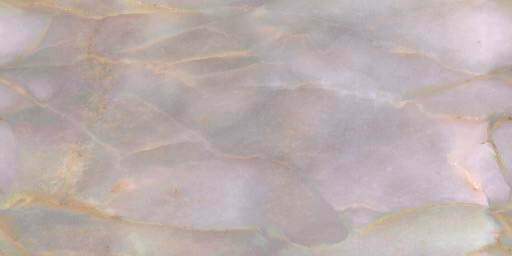 Stone is split in two places, with chunks of bottom corners missing. 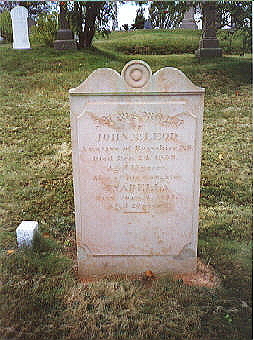 SVLMCLD.JPG In Memory of JOHN McLEOD, A native of Rossshire, N.B. 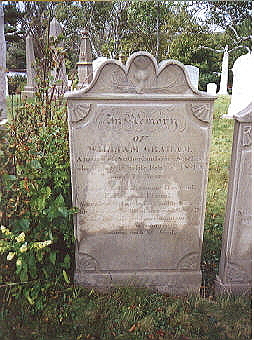 Died December 24, 1853 Aged [illegible] years. 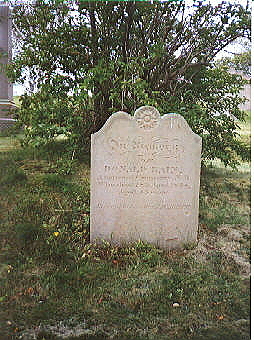 Also of his daughter, ISABELLA Died June 4, 1853. Aged 29 years. SVWG.JPG In Memory of WILLIAM GRAHAM. 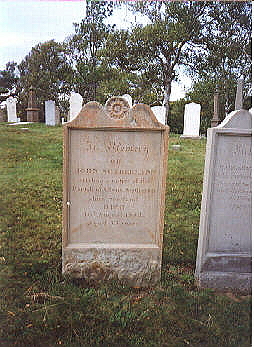 A native of Sutherlandshire, Scotland, who departed this life February 7th, 1849 Aged 76 years "A Kind and affectionate, husband, Father and Friend." More Inscription below but unreadable. 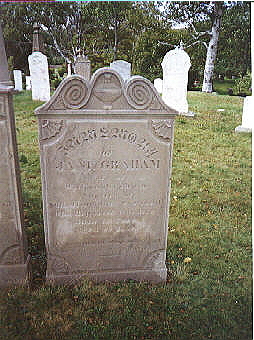 SVJS.JPG In Memory of JOHN SUTHERLAND, Carriboo. A native of the Parish of Clyne, Sutherlandshire, Scotland. Died 16th August 1852 Aged 77 years. SVMMS.JPG In Memory of MARGARET McKAY, wife of John Sutherland of Cariboo. 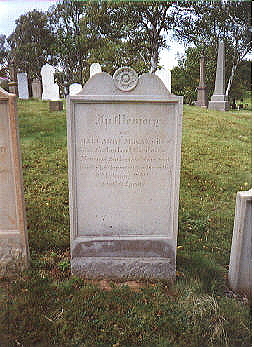 Native of Sutherlandshire, Scotland who departed this life on the 5th February, 1850. Aged 62 years. 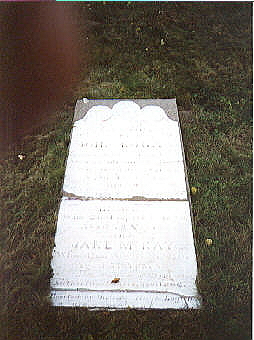 SVLOGMAC.JPG BROKEN, REPAIRED and very WORN STONE!.JOHN LOGAN and JANE McKAY headstone. Stone is split in two places and repaired with what looks like a granite slab behind. Stone is flat on the ground. Both inhabitants may have been from Sutherlandshire, Scotland. 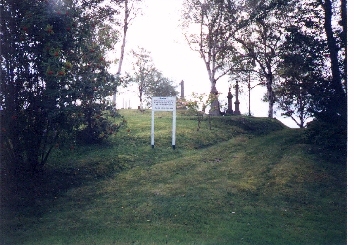 SVENTRY.JPG Entry sign at SeaView Cemetery.